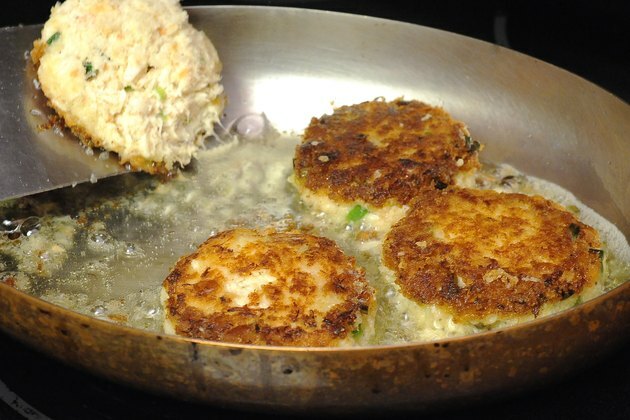 Frying crab cakes in a pan is the best method of cooking this tasty dish. The size of the cakes varies from about 1-inch-diameter cakes for an appetizer, to 3 inches wide for a main dish. Cooking the cakes is not difficult, as long as there is enough moisture to hold them together so they do not crumble when flipping. While the process of cooking crab cakes is not difficult, it does take some practice to achieve the perfect recipe that holds together. 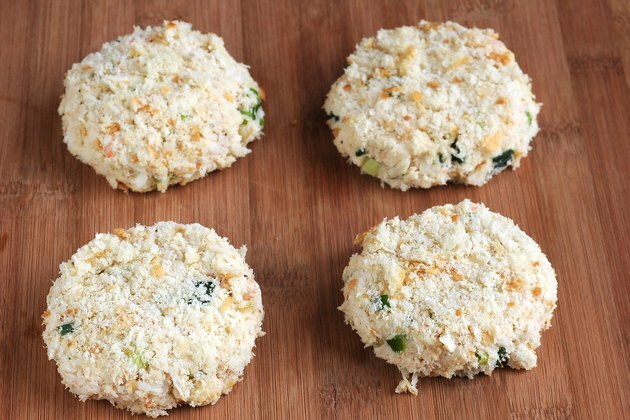 Prepare your favorite crab-cake recipe, making sure that the mixture is not so dry that is falls apart easily. Shape the mixed ingredients into cakes that are about 1-inch high. 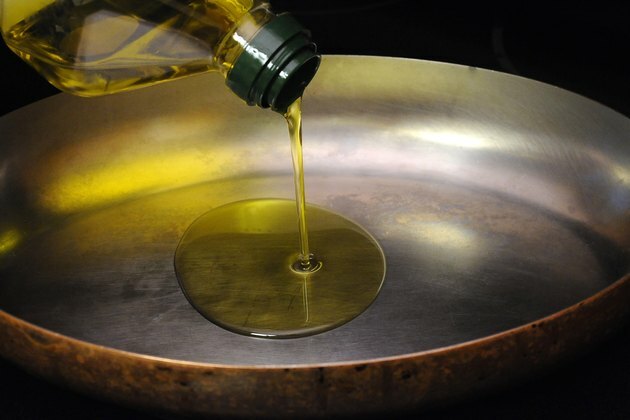 Add the olive oil to a frying pan and heat it over medium-high heat. 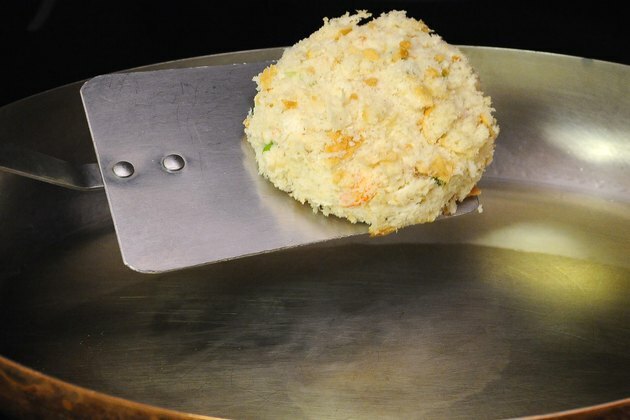 Use a spatula to place the crab cakes into the hot frying pan. Be cautious to prevent the oil from splattering on your skin. 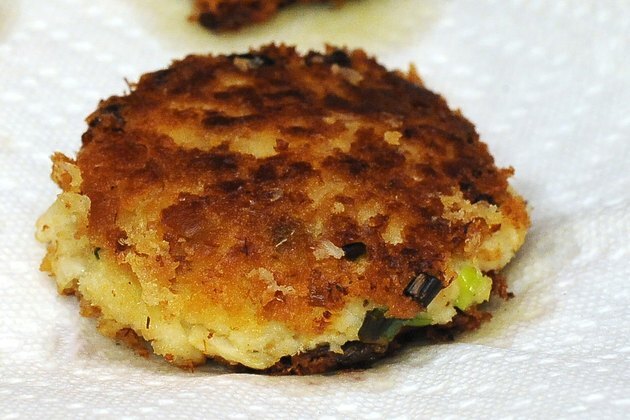 Cook the crab cakes until they are golden brown on the side facing down. This takes about five minutes. Flip the crab cakes with a spatula, being careful so that they do not break apart. Cook the cakes on the second side until they turn golden brown, or about five minutes. 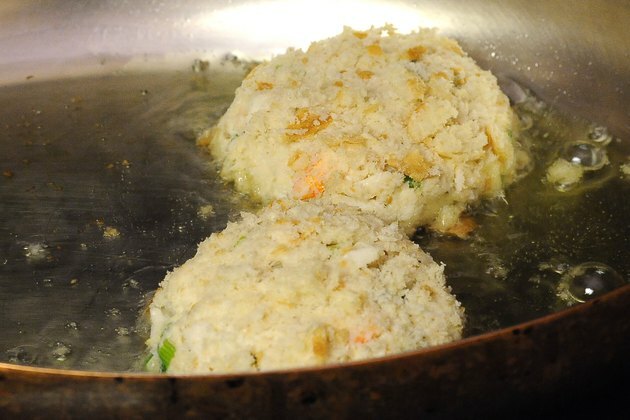 Remove the crab cakes from the frying pan and place them on a platter lined with paper towels to remove excess oil. Serve the crab cakes immediately. Before eating the crab cakes, FoodSafety.gov recommends testing the internal temperature which should be at least 145 degrees F. This will help prevent food-borne illness. 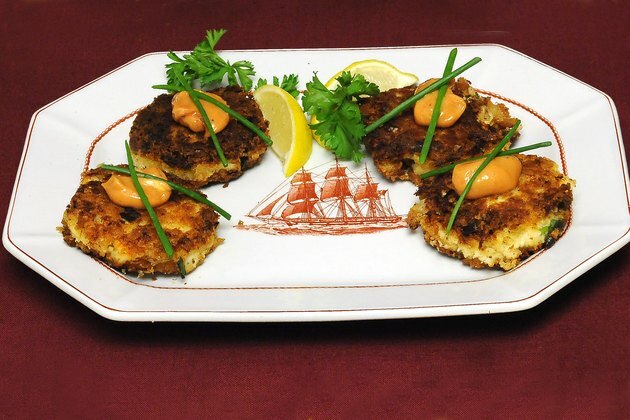 Alaskan King Crab: How are Crab Cakes Made?